Paltalk Build 643 has been Release. 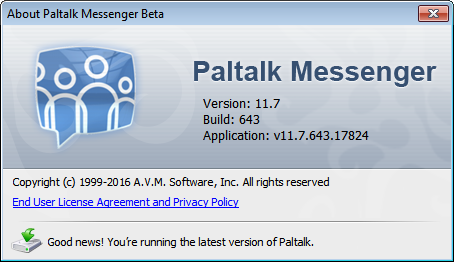 We have also gathered the latest Release Notes by Paltalk for Paltalk Version 11.7. That should give us a clear picture of the changes made in Version 11.7. Enjoy!